Restaurant chefs and gourmet bakers have long been proponents of unusual herbs and flowers to enhance food flavor and add visual excitement. Most cooks have little experience with edible flowers, however, and growers have traditionally kept flower gardens and vegetable plots well separated. Even if you understand that some types of flowers repel pests, and that produce often benefits from a symbiotic relationship with other plants, flowers and vegetables are often at opposite ends of the growing spectrum. That may be changing, if modern trends are any indication. Will it last? Proponents of eco-gardening note that edible flowers and the use of multiple parts of a single plant are somewhat forgotten arts that are worthy of being revived. The practice is common in many cultures, and there is ample evidence that some edibles, including fragrant, digestible flowers, also have healing and mood-changing properties. Growers in numerous “foodie capitals,” including the Dallas-Fort Worth area, report a surging demand for blossoms. Many well-known chefs prefer locally-grown produce, and eagerly purchase lettuces and microgreens, heirloom tomatoes, carrots, peppers and beets, exotic mushrooms, and flowers from individual farmers and from local farm stands and farmers markets. Restaurant customers welcome the flavors and the unexpected dining experiences. 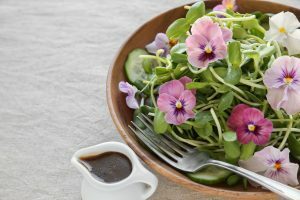 Edible flowers add new dimension and spice not only to salads and entrees, but also to craft cocktails, specialty teas and desserts. Part of the popularity can be traced to the public’s demand for fresh, natural ingredients, and the growth of farm-to-table venues. It also speaks to a desire to return to a time when backyard gardens were the norm, and when home cooks practiced self-sufficiency, sustainable lifestyles and enjoyed kitchen experimentation. Today, casual gardeners and professional growers alike have discovered the joys — and the profit — produced by crops that are as beautiful as they are fragrant and flavorful. Gardeners today grow flowers to enhance the home landscape, and those same flowers can add spice to family meals. There is a growing organic market for floral mainstays like pansies, nasturtiums, marigolds and lavender. There is also newfound interest in plants at one time considered weeds — dandelions and purslane, as examples — and for root vegetable greens that were once simply discarded, carrot tops and colorful beet greens among them. Stuffed squash and zucchini blossoms are not unusual in the South and Southwest, and other flowers are used in Asian dishes, but salads made with nasturtium leaves and blossoms have been uncommon until recently. Dandelion bread pudding, lilac scones, pansy pancakes and red poppy pasta sauce may not be on your home horizon yet, but such recipes are widely available. Professional chefs at local hotels might grow their own edible flowers, but farmers markets shoppers also want unusual products. There is a new desire to “get back to the earth,” to focus on health and wellness, and to prepare and enjoy healthful, nutritious food. Delicate violets and candied rose petals have for some time been favored wedding cake decorations, but they are now joined by a wide variety of other blooms. Whole flowers make attractive fresh garnishes, but flowers of all kinds may also be dried, boiled, baked, battered and fried, used to infuse teas and other drinks, added to soups or used to flavor meat and fish cooked on a grill. The perception is that naturally grown food, including tasty flowers, will contribute to lasting well-being. There are myriad options. As you may know, herb flowers often taste just like their leaves, but they’re prettier. 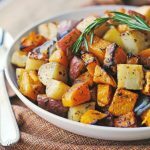 They add subtle flavor without overpowering other ingredients; they also add sophistication to simple meals. The bottom line is that flowers are no longer just supporting players. They are becoming stars in contemporary kitchens. It’s important to know your flowers. Some of the prettiest are not so good to eat; others will send you to the doctor with symptoms that range from rashes to stomach or intestinal upsets, even stupor and, in rare cases, death. But the same is true of all plants. Simply “weed out” plant options that can cause problems. As with anything unknown, if you’re uncertain, always err on the side of caution. Never sample any part of a plant unless you know it’s safe. Container gardening is especially suitable for growing edible flowers, because many of them are annuals. But flowers can also be interspersed along the rows of your vegetable garden. Experimentation is the key to success. Gardening should be creative, and it is a constant adventure, whether undertaken for fun or profit. Managing your crops requires not only the basic knowledge, of course, but also the will to improvise. If a crop of edible flowers is something you’ve been considering, now may be the perfect time. The harvest is likely to be rewarding. About: Adrienne Cohen is a full-time freelance writer with a passion for travel, good food, urban agriculture, school gardens, and architecture and design. 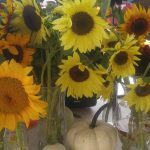 She writes about them all and is happiest when her travel plans allow her to visit with farmers and educators, restaurant owners and chefs in far-flung places. Although her forebears were farmers, she claims to struggle with her own garden, but loves plucking fresh flowers from their stems and harvesting fresh herbs to use in new recipes. She is a member of the North American Travel Journalists Association, maintains a couple of personal blogs and contributes to travel, agricultural and lifestyle magazines, both online and for print versions.